Build relationships, not just your Rolodex at the Beaches Division's premier after-hours event. live music, a silent auction and an interactive photo booth to capture the excitement. 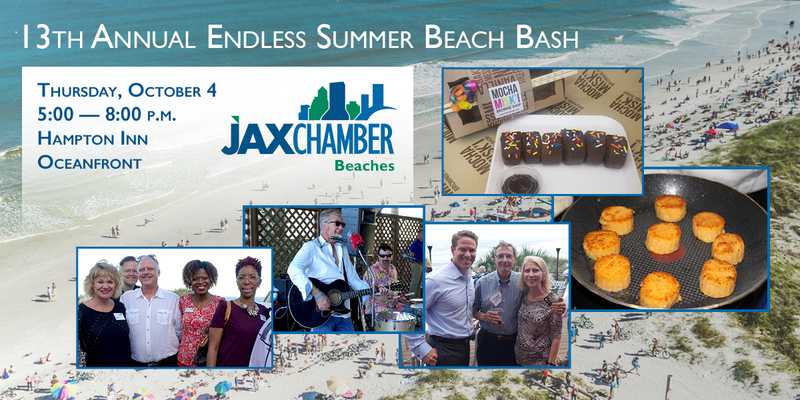 This event is not limited to JAX Chamber members, so invite your friends to join in the fun! Price is $25 if purchased on-line by October 3. $30 at the door. * Please remember to bring your ID, Hampton Inn staff will be verifying age and stamping all hands before entering the party. Thank you!